The state of California is home to a booming wine industry that rivals some of the best wine companies in Europe. The stable climate in this state is ideal for the wineries that are used to satisfy the taste buds of local customers and other people throughout the United States of America. California wine is considered to be premium due to the skill and expertise of diverse wineries in this state. In fact, many of the wineries can be toured during special events that offer tastings and other presentations about such great beverages. When attending a tasting event, visitors are encouraged to explore the wide variety of California made wine. There are literally hundreds of different variants available for this type of beverage. Experienced wine connoisseurs offer their advice and insight on some of the most appropriate wines for specific customers. Additionally, these professionals can provide tips on how to best combine wine with certain meals and snacks. Whether it's red or white wine, California's wineries produce high quality yields every year. Instead of shopping around local liquor stores, it's much more fun to buy wine directly at the wineries that produced them. California's wineries have onsite shops that carry a large selection of bottles for all types of occasions. Even kosher certified wines are available for sale in select wineries of California. 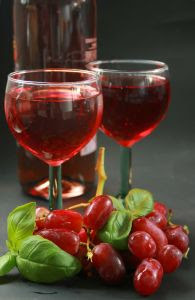 Customers can also look for different flavors that are added to traditional grape based wines. For example, a touch of pomegranate or acai berry add exotic flavors.